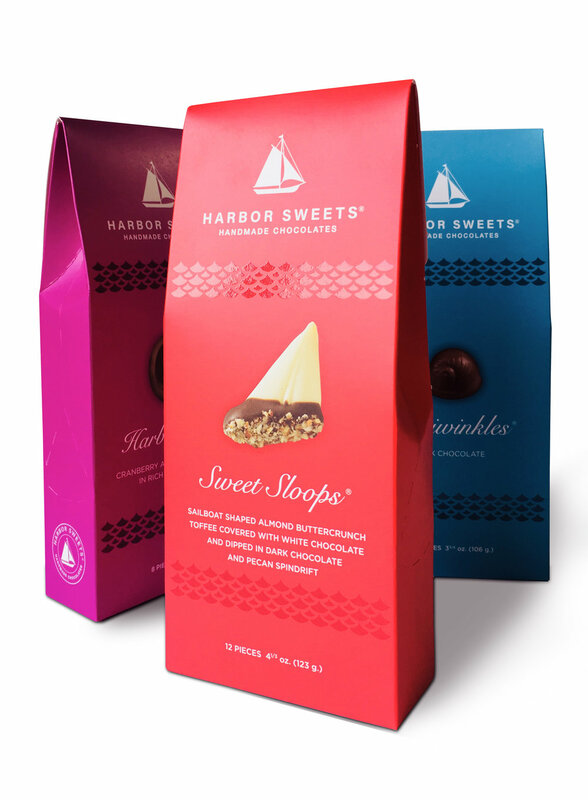 Harbor Sweets Handmade Chocolates of Salem, MA has been open for business since 1973. The company has grown significantly over the last four decades. Each year a quarter of a million packages are sold and shipped all over the U.S.A. and Internationally. Create a new visual brand that will update the company's public profile, broaden its appeal, and still feel familiar to loyal customers. This included a streamlining of the visual identity, and new package designs which would serve to better define the family tree of Harbor Sweets brands.